Research conducted by City University London has potentially enhanced the quality of life of over 13,000 older people in care homes. Quality care for increasing numbers of frail older people is an issue of international concern. 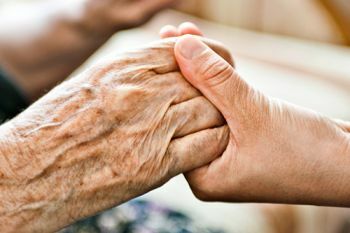 In the UK, there are around 18,000 care homes for older people, many of whom have dementia and long-term disabilities. 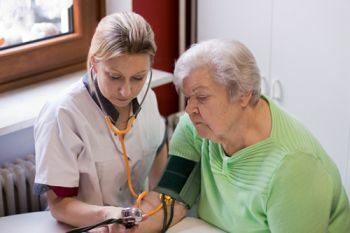 Despite their complex needs, residents are often cared for by low-paid social care (rather than healthcare) workers with low-level or no educational qualifications. With the fragmented care home sector needing support to improve standards of care, research led by City's Professor of Nursing Julienne Meyer, in partnership with Age UK, has led to the formation of My Home Life (MHL), a collaborative movement that improves quality in care homes. The original research underpinning MHL involved bringing together the evidence for best practice in care homes. This 'vision' challenged the narrow focus of policy for older people on person-centred care and highlighted the importance of positive relationships to deliver care focused on the individual. The second phase involved sharing the best practice messages with UK care homes, using a range of creative resources (bulletins, posters, DVDs, etc) and a dedicated website, www.myhomelife.org.uk. Phase three focused on supporting care home managers to take forward quality improvement and also enhancing better partnership working between care homes and the wider health and social care system, through a Leadership Support and Community Development programme. Most recently (2014-2017), My Home Life has been funded to strengthen and spread its influence, even further, across the UK and widen its accessibility to the public. To date, more than 500 care home managers in England and Scotland have completed the Leadership Support and Community Development (LSCD) programme, which brings together managers to learn from each other and improve their leadership skills. So far, the training has potentially improved the lives of around 13,450 residents. In a survey of 132 managers who took the programme, 89% said quality of life for residents had improved, 90% said they had more confidence and 88% said they could demonstrate improvements in leadership and management quality. A cohort of managers in Northern Ireland has just started the LSCD programme and, in Wales, 38 care homes have adopted the MHL vision. Several local authorities now base their care home strategy on the MHL development programme, for example, Essex. MHL is endorsed by the Relatives & Residents Association and all the national provider organisations that represent care homes across the UK. More than 5,000 homes have joined the network to share best practice. In England, the Government has highlighted MHL as a "recognised quality scheme" alongside the new National Institute for Health and Care Excellence (NICE) social care quality standards and the Dementia Care and Support Compact for the Provider Quality Profiles. In Wales, MHL was commended by the National Assembly for Wales Health and Social Care Committee, and in Scotland, MHL has been working with Scottish Care and the Joint Improvement Team (Scottish Government, NHSScotland, Convention of Scottish Local Authorities, and the Third, Independent and Housing Sectors) to help reshape care for older people. In Northern Ireland, MHL has close working links with the Independent Health and Care Providers. MHL also has an international influence, helping to shape a set of evidence-based indicators for quality of life in care homes. These were developed and agreed by seven EU member states and have been downloaded more than a thousand times. Elsewhere, Australia is funding an MHL - linked initiative in Victoria state, while Professor Meyer has been invited to speak about MHL in Australia, Canada, China, Japan, Malta, Spain and the US. MHL has had a significant and wide-reaching impact on both policy and practice to help support quality improvement in care homes. It is helping to raise standards by highlighting issues, testing new ways of working, creating leadership training and spreading its influence.